Welcome To LandSaleListings! Search for all types of land for sale and rural properties offered by land brokers, agents, land professionals and for sale by owner (FSBO). Find small and large acreage land including homes for sale, investment property, farms, ranches, waterfront and more. Ready to sell your land, ranch, or farm? Advertise your property today - it’s fast, and easy. We help hundreds of people reach new land buyers and give you the tools to make selling your land for sale easier. 28 acres land for sale in Blaine, Kentucky. land for sale in Celina, Tennessee. Build Your Dream Home on the New River! 1 acres land for sale in Fries, Virginia. 834 acres land for sale in Richford, New York. 2 acres land and home for sale in Ooltewah, Tennessee. 5 acres land and home for sale in Michigamme, Michigan. 340 acres land and home for sale in Preston, Georgia. 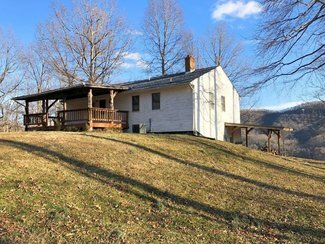 262 acres land and home for sale in Wirtz, Virginia. 21 acres land for sale in Deer Lodge, Tennessee. 2 acres land and home for sale in Angelica, New York. 97 acres land for sale in Keweenaw Bay, Michigan. 200 acres land for sale in High Springs, Florida. House for sale in Ignace, Ontario.